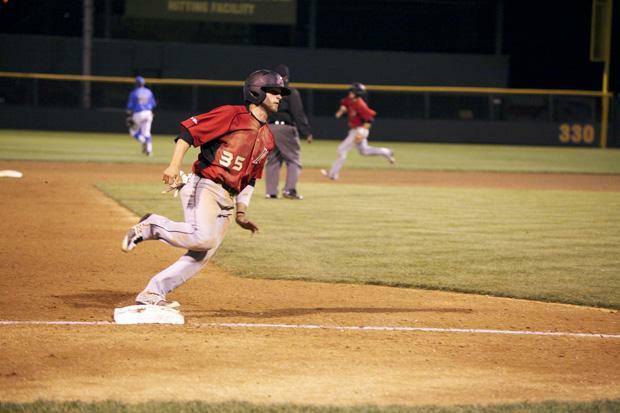 Putting its seven game winning streak on the line against the eighth-ranked UCLA Bruins in its final non-conference game of the season, the CSUN (30-18) baseball team defeated UCLA 4-1 Tuesday night at Jackie Robinson Stadium. Sending junior starter Brycen Rutherford to the mound, he kept a powerful Bruins (31-14) offense quiet through four innings of work, allowing one run on six hits while striking out two. Striking first against the Bruins, the Matadors loaded the bases with no outs on a walk, infield single and another walk with no outs in the first inning. Redshirt junior first baseman Joshua Goossen-Brown grounded out into a double play that scored one run. A hit-by-pitch put runners at the corners for CSUN, and the Matadors completed a successful double steal of second and home. 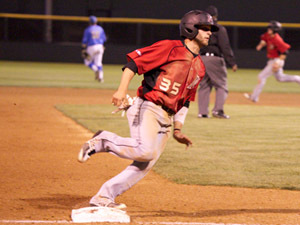 The steal of home was the first since CSUN began recording the statistic in 2000. A double by sophomore catcher Alexis Mercado scored Northridge’s third run of the inning. “It was a 3-2 count and I was hoping he came with a fastball, he did, and I just put the barrel on it, putting it in the hole,” Mercado said. UCLA went to its bullpen after starting pitcher Cody Poteet gave up Mercado’s double. An RBI single by UCLA in the fourth inning shrunk the Matadors lead 3-1. Back-to-back singles for the Bruins in the bottom of the fifth inning ended Rutherford’s day and brought on freshman pitcher Oscar Sandoval. Getting two quick outs, UCLA loaded the bases on an intentional walk, but a called strike three ended the threat. “We felt comfortable with him against left handed pitchers for quite some time. It’s been a gradual progression where he has grown into that role, he is getting more comfortable,” Curtis said. 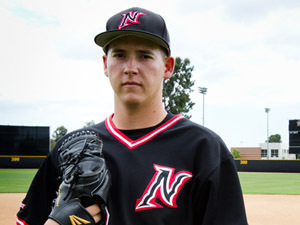 Loading the bases in the sixth inning, CSUN had a chance to extend their lead with two outs, but a long fly ball to right field by senior center fielder Nate Ring ended the inning. A leadoff single in the seventh inning would end Sandoval’s day after pitching a career-high two innings in relief. “It’s not easy for a freshman to come in to a place like this, a night game, a program like this and just do what he’s been doing but he was able to do that,” Curtis said. With runners on first and second for freshman pitcher DJ Milam, Milam induced two long fly balls to the warning track to strand the runners and preserve a 3-1 lead. Reaching first on an error by the third baseman in the eighth, redshirt sophomore right fielder Chester Pak stole second and moved to third on a groundout. A wild pitch by UCLA junior pitcher Zack Weiss extended Northridge’s lead 4-1. Bringing Goossen-Brown on to pitch the ninth inning, UCLA made him work for his ninth save of the season. After singling to lead off the inning, the base runner was called out for interference on a ground ball through the right side. A steal of second base would be as far as the Bruins would get, with a harmless ground ball recording the final out. 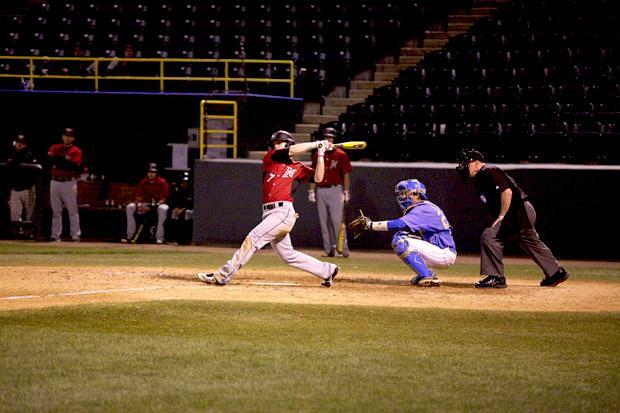 Northridge drew eight walks and was hit by two pitches for the game, while recording only four hits.